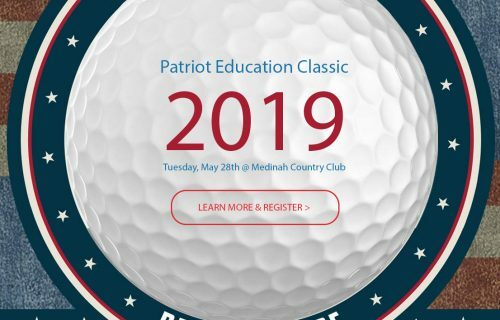 Join us on the hallowed golf ground of Medinah Country Club. This is far from your typical golf event. It’s a high-octane experience that’s both exhilarating and inspiring. Click here to check out last year’s event! You will shake hands with each military family member whom you are investing in. Know you have made a difference in their lives by visiting with our scholars and listening to their life journeys and experiences. This is a very intimate event with a “Who’s Who” of Chicagoland supporters all working together to benefit our Military families. Join us for a Patriotic lunch ceremony with Master of Ceremonies, WGN’s Radio Legend, Steve Cochran. Feel the goosebumps when Jim Cornelison sings our National Anthem – Blackhawk style!!! Foursomes fill up fast as this is a sell-out event each year. Not a golfer? Come out and have Lunch and/or Dinner with us anyway! Click here to register for Lunch and/or Dinner. Get involved today!